Whether I’m giving one or receiving one, I love gift baskets. I love the variety of little treats and different themes, and I love that there is one for almost very occasion. I have been a 1-800-Flowers customer for years now, and have used their 1-800-Baskets service quite a few times, so I was excited to hear they have come out with a new line of traditional-meets-trendy gifts in their new Market Box collection. I received a Nature’s Best Breakfast Market Box for review. 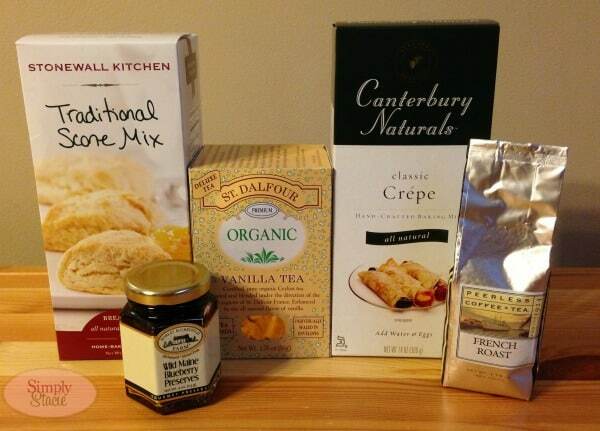 It included a crepe mix, a scone mix, a package of French roast coffee, organic vanilla tea, and Maine blueberry preserves. I like that it arrived in a simple brown box, no excess packaging to deal with. The products it included were high-end, made with natural ingredients and no preservatives. 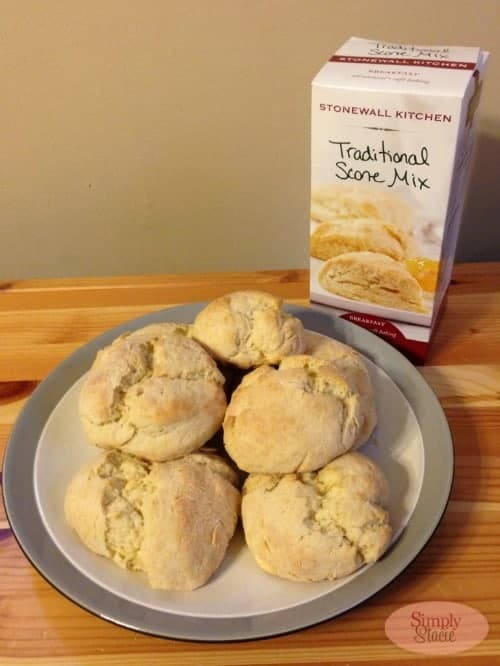 I decided to try my hand at making scones for the first time ever using the Stonewall Kitchen mix from this box. The process was pretty simple and fun, and the outcome was delicious! My husband and I enjoyed the scones for breakfast with some of the blueberry preserves. I think this box would make a wonderful gift for the breakfast lover in your life. The contents are perfect for a quiet breakfast get-together or a brunch. This box sells for $39.99 on the 1-800-Baskets site. 1-800-Baskets has been a member of the 1-800-Flowers family since 2001. With the mission to create a truly better gift-giving experience, they use only the finest products available in their baskets. Their team of buyers search the world for only the best wines, fruits, foods, snacks, coffees, and teas. The Market Box is their latest line in quality gifts available with boxes for the foodie, the coffee-addict, the martini-maven, the tea-time-enthusiast, the crepe-lover or the wine-connoisseur in your life. i like the martini mixer box. I like the nature’s breakfast and New York ristorante. i like the New York Ristorante Market Box. i think there was a coffee one too at one point, which I liked. I definitely like the tea! I love the Tea For You Market Box! I have never head of Market Box before but it looks so yummy and I would love the Tea!!! The natures breakfast box would be my favorite. I would choose the NY box. I like the Napa Valley Bistro Market Box. I like the Napa Valley Bistro market box and the New York Ristorante market box. I liked both the Martini Mixers and the Tea baskets. I like the Napa Valley Bistro box. The Napa Valley Bistro Market Box looks good to me. Thanks for having this contest. My husband would love the Tea For You Market Box, we love tea! I like the Nature’s Best breakfast market box. Thanks for the chance. I like the Tea For You Market Box. I’d like the tea box. Id probably get the tea box. This entire box looks like the PERFECT Sunday afternoon. Some baking, some relaxing, some tea! PERFECT! I would love the New York Ristorante box! New York Ristorante Market Box sounds amazing! 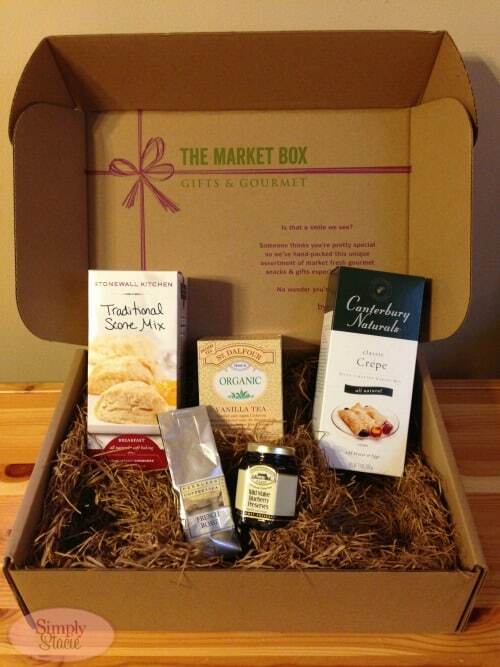 I would love to have the Napa Valley Bistro Market Box!